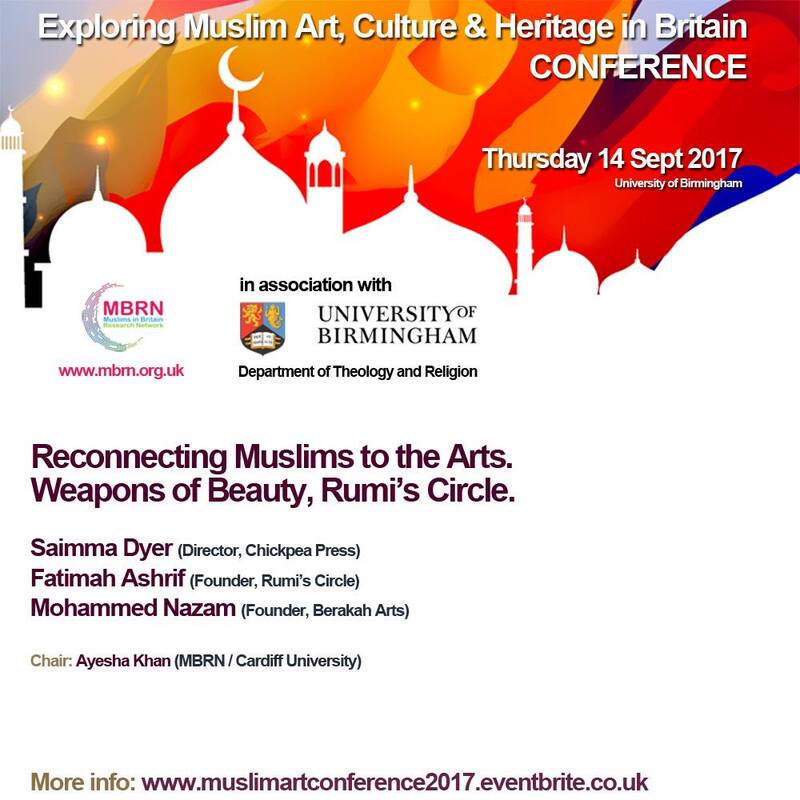 We’re pleased to be part of the MBRN conference on Exploring Contemporary Muslim Art, Culture and Heritage in Britain. We’ll be reflecting on how art and creativity is an integral part of the Islamic heritage and future. Join us! Get your tickets now.